Today’s public schools attempt to indoctrinate children with a naturalistic, godless worldview. This article talks about a few of the ideas being taught in today’s curricula. It also looks at how our children can be equipped to stand in such environments. Most parents who take their children to church on Sunday also send them off to a secular school the rest of the week. This is the case in approximately 88% of U.S. households with school-age children. If the teacher teaches from secular textbooks, the child’s Christian education is challenged. At church they are taught that they are special in God’s eyes; in fact, they are created in His image. In most secular schools they hear the philosophy of naturalism, the idea that mass and energy are all that exist and that the universe and life all arose by natural processes. There is no supernatural Creator God. The diversity of life on earth is the outcome of evolution: an unsupervised, impersonal, unpredictable and natural process of temporal descent with genetic modification that is affected by natural selection, chance, historical contingencies and changing environments. “Unsupervised” means no Creator God. “Impersonal” means life has no special meaning. “Unpredictable” means we are a product of blind chance. “Natural process” means processes inherent in matter. It should be noted that in 1997, the NABT removed the words, “unsupervised” and “impersonal” when they realized they were distancing themselves from religious people, but the words “unpredictable” and “natural processes” remain. “Evolution is not goal oriented” (Campbell and Reece, AP Edition Biology, 2005, p. 486). “But all researchers agree on certain basic facts. We know, for example, that humans evolved from ancestors we share with other living primates such as chimpanzees and apes” (Miller and Levine, Biology, 2000, p. 757). The NABT’s position statement directly contradicts biblical creation and the gospel of Jesus Christ. As Jesus said in Mark 10:6, “But from the beginning of the creation God made them male and female” (KJV). Jesus clearly states that man and woman were on planet earth from the beginning of creation, not after millions of years of unsupervised evolution. If we can’t trust the words of Jesus, then why should we trust Him as our Savior? In today’s science textbooks, students are being forced, tricked, or misled into believing there is real, observable evidence to support evolution. 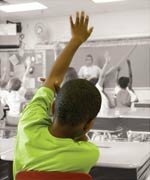 The NABT is not alone in advocating antibiblical education. Remember, the Bible does not teach there is neutrality—one is either “for” Christ or “against” Christ ( Luke 11:23 ). Many of the major education organizations, such the National Science Teachers Association and the National Education Association, also endorse the teaching of naturalistic evolution as fact. Claim #1: All scientists agree. “Virtually all biologists consider evolution to be a fact” (Campbell and Reece, AP Edition Biology, 2005, p. 272). This statement confuses the difference between fact and theory. Careful biologists, even among the evolutionists, reject the notion that a theory about the unobserved past is a fact. Facts are not determined by popular opinion. Moreover, many biologists today believe the biblical account of creation, and their view is backed by the trustworthiness of God Himself, not fickle human opinion ( Romans 3:4 ). “For roughly 150 million years, dinosaurs dominated life on land. They evolved from the thecodonts, an extinct group of crocodile-like reptiles” (Holt, Rinehart, and Winston, Biology: Principles & Explorations, 2001, p. 740). This claim is full of assumptions about the past, which directly contradict Scripture. According to the Bible, all land animals were created on the same day as the first humans, and so they shared the same world only a few thousand years ago. Claim #3: Birds evolved from reptiles. “By 150 million years ago, feathered theropods [dinosaurs] had evolved into birds” (AP Edition Biology, 2005, p. 693). Textbooks that hail evolutionary claims as fact fail to mention that these claims are merely interpretations based upon flawed, naturalistic assumptions. Claim #4: The mechanism for evolutionary change is natural selection. “Natural selection results in the evolution of offspring that are better adapted to that environment” (Johnson and Raven, Biology, 2006, p. 291). Creation scientists agree that natural selection does play a role in the changes seen within creatures as adaptations to their environments. However, these changes are too miniscule to bring about the radical change of one kind of creature into another completely different creature, even after billions of years of evolution. Natural selection can explain how an organism survives in its environment, but it cannot explain how the organism originated. Claim #5: Vestigial organs are organs that have lost their original purpose. “Structures, which are considered to be evidence of an organism’s evolutionary past, are called vestigial structures” (Johnson and Raven, Biology, 2006, p. 286). Claim #6: Early embryo development is similar in most organisms with backbones. “In their early embryonic stages, fish, turtles, chickens, mice, and humans all develop tails and gill slits” (Audesirk, Audesirk, and Byers, Biology: Life on Earth, 2005, p. 276). This deceptive claim is still being taught in textbooks, even though it has been proven to be inaccurate. The similarities are only superficial, because certain stages are necessary in early development of vertebrates, no matter what the final form looks like. Claim #7: Abortion is acceptable. “When contraception fails, pregnancy can be terminated by abortion” (Biology: Life on Earth, 2005, p. 739). This is a direct contradiction to the clear teaching of Scripture that God knew us and formed us in the womb ( Isaiah 44:2 ). Life begins at conception, and abortion ends that life. Not surprisingly, textbooks that hail such evolutionary claims as fact fail to mention that these claims are merely interpretations based upon flawed, naturalistic assumptions. Private prayer—Students are free to personally express themselves in prayer. Bible reading—Students may read the Bible or other devotional material during free-reading times or study halls. Symbols—Students may use notebooks, pencils, and other material with religious logos or sayings, including Bible verses. Apparel—Christian messages on clothing or jewelry may be worn unless there is a uniform requirement that applies equally to everyone. Assignments—Students may present speeches, write book reports and research papers, prepare show-and-tell displays, or do artwork using religious themes, provided such assignments follow the teacher’s instructions. Open discussion—Religious viewpoints may be shared as part of class discussions when appropriate to the topic. Performances—Students may sing religious music in a general concert program; such music is not devotional in a concert setting but has historical and cultural value. Group devotions—Students may gather on their own time for devotions before or after school. Tracts & other literature—Students may distribute Christian literature to fellow students or teachers on school grounds outside of class hours. Bible clubs—Voluntary, student-initiated Bible clubs may meet on public secondary school premises during non-instructional time if other non-curriculum related student groups are also permitted to meet. Graduation—Students may speak of God and may offer a prayer in a nonsectarian and non-proselytizing way in a student address at graduation. Abridged from the article, “Defending Christian Freedom in America’s Public Schools,” by Dr. David C. Gibbs, Jr. and Dr. David Gibbs III. Used by permission from the Christian Law Association (CLA), a legal missionary ministry at www.christianlaw.org. So, why is secular-run education so opposed to biblical principles? In the 1930s people like John Dewey led the modern scheme to usher in a “new social order” in the United States through teacher training institutions (Harold Rugg, The Great Technology, 1933). “By the 1950s fully 20% of all American school superintendents and 40% of all teacher college heads had received degrees under Dewey at Columbia. As an atheist and socialist, Dewey co-authored the revolutionary, anti-God, Humanist Manifesto 1 in 1934” (Stormer, None Dare Call It Education, 1998, p. 31). Students need to be ready to defend what they believe when challenged at school. It is not enough to go to Sunday school and learn “Bible stories” as they are often presented. It is not enough for young people simply to learn about social issues. They need to be equipped at the foundational level. Part of this equipping is knowing how to be 1 Peter 3:15 Christians and have a ready answer for their faith. When taught that the Bible is accurate in all areas it touches on, including origins and evolution, students can effectively defend the truth and ask good questions when challenged with false information. 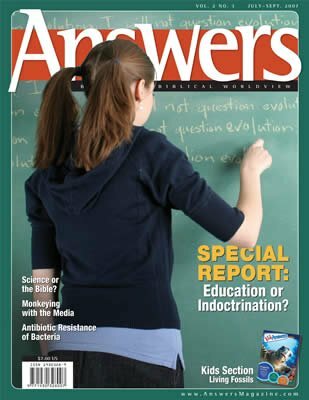 A few years ago, Answers in Genesis conducted a two-day “equipping” course where students were trained to defend their faith by respectfully asking good science questions of their teachers. When the students returned to their science classes, they were armed to be witnesses to the teacher and other students. After attending the equipping course, one student received an assignment from her biology teacher to write a paper on evolution. After all papers had been graded and were ready to be handed back, the teacher approached the student and asked to meet with her in the back of the classroom. The teacher then stated that Christians always try to prove their views by using the Bible and that this was a science class and not a religion class. However, the teacher went on to say that the student’s paper was the first one he had ever read in his 12 years of teaching that supported creation using scientific evidences. It had changed his mind, and God used it to change his life. When we arm students with the tools God has provided, they are prepared to be witnesses for the Lord and defend their faith. 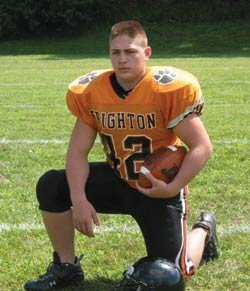 Fifteen-year-old Ian Leitch knows how to run defense on the football field. He’s a varsity football player. But when it came to defending God’s Word in the public school—that was an entirely new ball game. Shortly after entering public school (after being homeschooled his entire life), Ian’s faith was put to the test. In English class, he and his classmates were asked to write about their beliefs on human cloning and embryonic stem cell research. Afterward, they were instructed to stand on either side of the room based on those beliefs. Those in favor were asked to stand on the left side; those against were to stand on the right. The majority stood in favor of cloning and stem cell research. Without hesitating, Ian headed for the other side. He stood alone. A few minutes later, two of his football friends joined him. “Only God is Creator of all things,” he responded to his classmates. “It is not up to man to decide—we don’t have the right to create.” Ian had an answer for each point brought up by the other side. Afterward, the other students asked him about the Bible. His peers seemed to be reconsidering their position. Ian attributes the Bible as the primary source that has helped him to know and defend the truth of God’s Word. He also grew up watching Christian videos on topics such as astronomy, Noah’s Flood, dinosaurs, and the relevance of Genesis. When Ian isn’t standing up for God’s Word in the classroom, he’s serving on another mission field—the football field by praying before games and sharing the gospel with teammates.